• Free Silks / Hour. 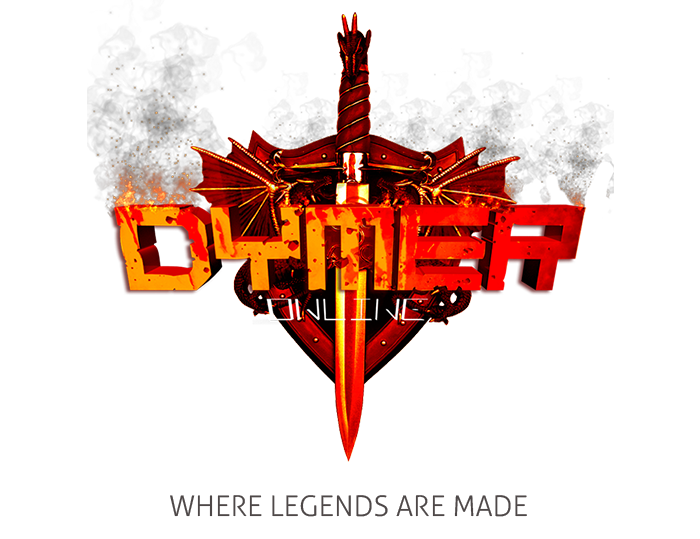 *For the first 7 days of Dymer, you will be receiving 2 silks per hour! Please note that you have to be level 80 in order to receive silks. The solo exp rate is 9x. We believe this rate is perfect for an 80 Cap server. The party EXP Rate is 12x. We also believe this PT exp rate is the perfect rate for an 80 Cap server. The drop rate is 4x. This is a perfect item drop rate in our point of view as it is not too high and not too low. Mastery limit is going to be 300 as it was at 80 Cap SRO. • Dymer's main town - Donwhang. • HWID Limit aka PC Limit. Capture the flag / Battle Arena HWID limit . • Guild & Union Limits. All of u will be able to get the union chat rights. • Free union chat for all. We promised to keep Dymer fair for everybody! • Available fortress war: Hotan. We have a very high quality protection which is proven to be the best in the market. Our protection provider is Hyperfilter. We love you and want you to enjoy a gameplay with 0 lags and 0 delays! Onceyou create a character, you will start off with some special stuff such as Skill Points, gold and other stuff in order to make the level up process funnier and better. For an easier level up process, we implemented this feature that everybody got used to. You can get full +5 gear during your level up process until degree 7. We have brought them back to you, we know you love them! Whenever you PVP your entire set will be shown and an oldschool PvP cape will be worn as seen on the screenshot to the right. • Capture The Flag & Battle Arena. -If you were AFK for more than a minute, you would get kicked out of the CTF and get sent to town. Forgotten world is another method to obtain SOM " Seal of Oblivion " weapons only. • Old school job suits. Buff Lv.1 - 10 Kills in a row. Buff Lv.2 - 20 Kills in a row. Buff Lv.3 - 30 Kills in a row. Buff Lv.4 - 40 Kills in a row. Buff Lv.5 - 50 Kills in a row. One more thing which makes it better is that the mobs there have a chance of dropping Seal of Nexus items, which are equal to Last Tier +2. You can also get forgotten world dimensions from Abyss mobs. Master skills are usable once every 24 hours so try as much as you can to keep it for the tough times you might have during pvp. You can grind inside the Abyss Maze to get skill points to open the master skllls. have enabled 3 SOX types in Dymer in order to not make you get confused when talking about SOX. We know how confusing and annoying is it to have a hell of SOX types. First and weakest sox type is: Seal of Star aka SOS. Second SOX type is: Seal of Nexus. -Blood of Dymer - aka BOD. It can be obtained from Dymer unique. -Seal of Oblivion - it can be be obtained from FGW talismans collection. -Seal of Dymer - aka SOD. It can be obtained from Seal of Dymer shop which is located in donwhang for a certain amount of coins. Coin System is one of the most advanced systems in SRO. In Dymer, we always used coins to make them the main currencies in game. You will find an explanation below of the usage of each and every coin and the way of obtaining them. You can get gold coins only through jobbing which has a weekly limit of 150 coins. The limit gets reset every Sunday. Gold coin is used to purchase many valuable items such as Seal of Dymer items and other itemsfrom Dymer Special Goods shop. Copper coin has only 1 usage which is purchasing Seal of Dymer Items. Copper coin is purchasable from Seal of Dymer NPC for gold. Silver coins are obtainable from Survival Arena, Glory Battle Event, Battle Arena and CTF. Silver coins are used to purchase Seal of Dymer equipment and some stuff from Dymer Special Goods shop. -You can get Iron Coins from job temple mobs. Iron coins have 2 usages, the first one is purchasing Seal of Dymer items and the second one is purchasing Special Items from Dymer Special goods NPC. -Unique coins are droppable from normal and special uniques. Unique coin is one of the coins required to purchase Seal of Dymer items. You can also use it to purchase Special Items from Dymer Special Goods NPC. The competition between the players always makes the game funnier in SRO and especially when it's in an event, thus, we added Survival Arena which has proven to be one of the funniest events ever in SRO history. Survivalarena is not going to be just a normal combat event because we have made some modifications to it to make it better and fair for all participants. Players are forced to equip PVP capes once they are teleported into the survival arena. The bot will send some globals with instructions on how to participate. Basically participating in the event is all about sending a pm to [BOT]Survival stating "Register". The reward is 1 Silver Coin per kill. You get it once you teleport. Glory Battle is probably the biggest event in Dymer and we believe it will bethe funniest event ever for the fans of competitions and teamwork. The challenge basically consists of 2 teams, each team consists of 8 players and there will be 10 instances for this event so 160 players will be able to participate(the amount of instances can be increased depending on our playerbase), once you are ported to the battle area, you will automatically get the pvp cape equipped. One team gets the red cape and the other team gets the blue cape. Once you die, you won't be able to resurrect unless the round ends. In the middle of event, 3 strong uniques will spawn (Abyss Wizard, Witch of Abyss, Underworld spirit). So be careful, either you slay them or they slay you. Killing the unique will not add any points to your team but will add more excitement to the event. Note that the battle period is 20 minutes, it may also end before 20 mins if a team has won 3 rounds. Rewards: Winner will get 7 silver coins and the loser team will get 2 silver coins. As we promised, our goal is to always entertain you while you play Dymer. We have developed some events which will take place daily automatically without needing a GM to hold them. Most of our events do not depend on being strong but on also being fast and smart. The event basically depends on your luck. The bot will select a random number and the first player to create a party with this number wins the event. The reward is 25 silk. The event happens every 1 hour.